Venice Community Housing Day at Whole Foods Venice Beach - Yo! Venice! Shop at Whole Foods Market Venice on Wednesday February 10 and support the Venice Community Housing Corporation (VCHC)! 5% of net sales for the day will be donated to VCHC. The Venice Community Housing Corporation works to preserve the economic, racial and social diversity of Venice and the surrounding area by maximizing affordable housing and economic development opportunities and providing needed social services to the area’s low-income population. Since its inception in 1988, Venice Community Housing Corporation has been the only community development organization serving Venice and adjacent neighborhoods, providing a variety of programs to meet the needs of the low income individuals and families, helping them to be self sufficient. Services include affordable housing and support services for nearly 500 low income people, including over 100 of whom who were previously homeless; job training and education assistance for at risk youth; free home repairs for low income, disabled or elderly homeowners; and after school programs at Mark Twain Middle school and at two of VCHC’s apartment buildings. “ VCHC is proud to be recognized by our neighbor Whole Foods Venice as a positive force in this vibrant community”, said VCHC’s executive director Steve Clare. More information can be found at www.vchcorp.org. 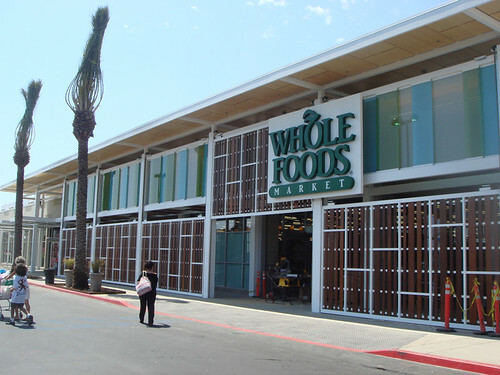 Whole Foods Market Venice opened in 2008 and since then the store has embraced the concept of community, hiring locally when possible, donating to area food banks and supporting nonprofit fundraising events. Stop by on February 10 to purchase organic, natural and local products and 5% of the day’s net sales will support Venice Community Housing Corporation. “Whole Foods Venice reflects the creative and diverse community we serve, and we are happy to partner with an organization like Venice Community Housing Corporation, that is committed to making our community stronger and healthier” said Mike Bowen, Store Team Leader.